The staff were great. Property is central, beautiful, and easy to access. We reserved a parking spot in their garage which was very helpful. The garage is very small, just to let you know. Friendly stuff, very clean nad great location of apartments. 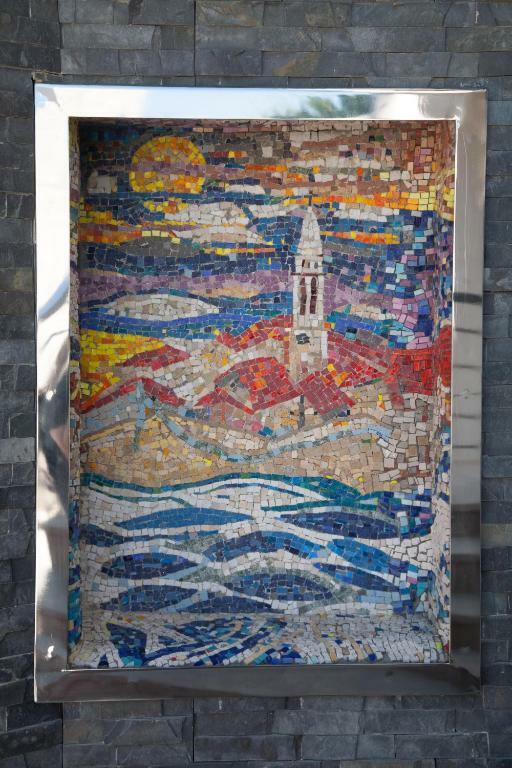 Apartments are 2min walk from the old town in Budva. Modern apartments, with average wi-fi network. I will definitely come back again. 1. Excellent location next to the old town and everything all around! 2. Great host; Boyana was so helpful and friendly! 3. A very spacious and modern apartment! 4. It is in a modern building and has an elevator. Great hosts, big appartment, kitchen with everything you need, close to everything and they have loundry meshine. Location was amazing! Very comfortable apartment. We had a wonderful couple of days. Nice, clean appartment, lot of space. We were a group of four - no problem. Warm welcome by Bojsana. Excellent location, port, beach and historical old town in walking distance. Supermarket next to the building. Garage can be rented for 10 EUR/night for the car. Apia is a wonderful place offering seclusion and privacy whilst located in the centre of everything. The apartments are luxurious, spacious and kept to a high standard. Though you are able to enjoy the utmost of privacy, the wonderful housekeeping ladies occupying the lower ground floor are only a second away and will help with any requests. The Manager is very welcoming and helpful also. I absolutely love this place and I'm sure that you will too! Lock in a great price for Apia Residence – rated 9.5 by recent guests! Apia Residence This rating is a reflection of how the property compares to the industry standard when it comes to price, facilities and services available. It's based on a self-evaluation by the property. Use this rating to help choose your stay! One of our top picks in Budva.The elegantly furnished Villa Apia is located just 650 feet from Budva's historic district and the beaches. 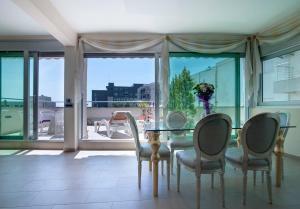 The stylish apartments are air conditioned and have a balcony or a terrace. Each apartment comes with a fully equipped kitchen including a dishwasher and a large, flat-screen cable TV. Free Wi-Fi is available. 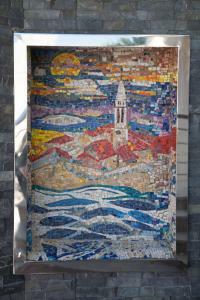 You can also rent a bike to explore the surroundings of Budva. This property also has one of the top-rated locations in Budva! Guests are happier about it compared to other properties in the area. 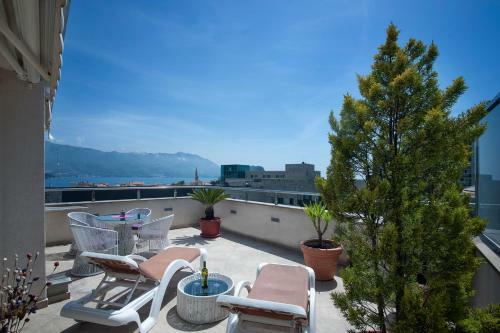 This property is also rated for the best value in Budva! Guests are getting more for their money when compared to other properties in this city. 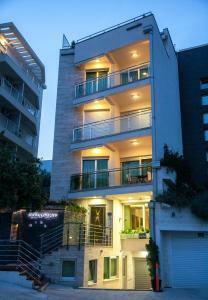 뀐 Located in the top-rated area in Budva, this property has an excellent location score of 9.8! 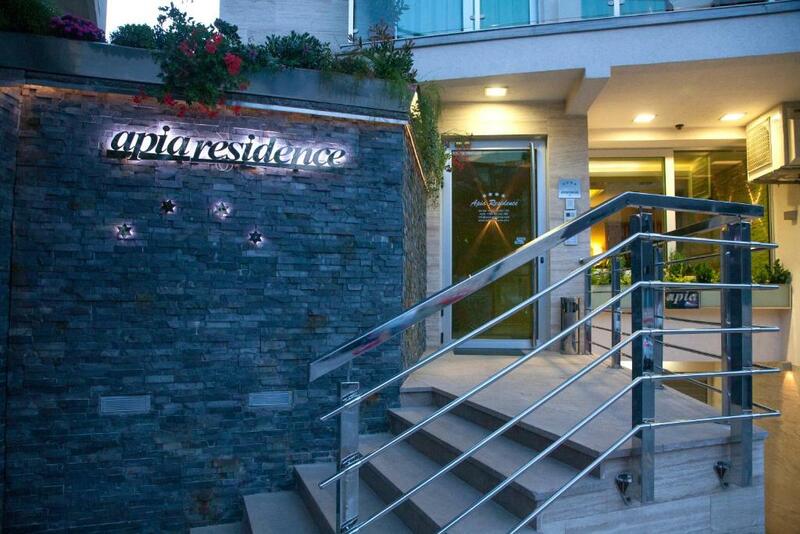 When would you like to stay at Apia Residence? There is one bedroom with a double bed, one with a bunk bed and a living room with a sofa bed. Please note that 1 child up to 3 years can sleep in the parents' bed free of charge. Large apartment with 2 bedrooms and 2 big terraces. Apartment offering air conditioning, a balcony and an LCD cable TV. A kitchenette and a private bathroom are provided. Apartment offering air conditioning, a patio and an LCD cable TV. A kitchenette and a private bathroom are provided. There are 2 bedrooms with a double bed and a living room with a sofa bed. The apartment has 2 bathrooms, a bigger balcony and a terrace. This apartment has air conditioning, kitchen and dining area. This apartment features a dining area, air conditioning and kitchenware. House Rules Apia Residence takes special requests – add in the next step! Apia Residence accepts these cards and reserves the right to temporarily hold an amount prior to arrival. Please inform Apia Residence of your expected arrival time in advance. You can use the Special Requests box when booking, or contact the property directly using the contact details in your confirmation. Extremely difficult to find as gps does not locate the exact location. Took about 2hrs to locate. Very good location, mid cons, comfortable. Was there few years ago but now it is obvious that Apia is seriously getting older. Make sure to reserve parking at the time of booking,garage has limited space and parking in this area is hard to find. Since we were staying in June, and since the season starts in July, the price was a little higher for this period of year. Very average for the price - compared to other accommodation I stayed in on my visit.